This is a 2 Bedroom/2 Bath direct Gulf Front Corner Penthouse that has views all the way down the Beach. This unit has it all with a Private Keyed Elevator to your Residence, Assigned Covered Parking right next to the private elevator, Wood Burning Fireplace, wireless internet access, 2 pull-out sofas, and a heated Gulf-side Pool. Being on the top floor, the unit is enhanced with a skylight and is quieter because no one is above you. The corner unit includes additional windows and views of the beach. This Beach Front condo is tastefully painted and decorated with Key West style decor. Located within minutes to dozens of restaurants and bars, tennis courts, skate park, fishing, paddling boarding, shopping, and 45 minutes from Busch Gardens and 1.5 hrs from Disney World. We have an adjoining Condo in the building next door for multi-family bookings. UPDATE: New AC installed in 2014, New Fridge installed 2014, New Plush Mattress for Master Bedroom changed in 2014. We take pride on this unit and are quick to respond to any suggestions that would make your stay more comfortable and enjoyable. The owners are a family from Markham, Ontario, Canada who just couldn't miss out on the opportunity to spend more time enjoying the white sandy beach and local amenities that Indian Rock Beach has to offer. To make sure that your stay is as relaxing as possible they've engaged the services of Frank Ambrosio, a top Realtor and Property Manager with Prudential Tropical Realty. Frank has been working on the beaches for over 10 years. If you have any needs while you're here on vacation, Frank's office is only 4 blocks away and he's there to help with any inquires that you might have. This property is located on the top floor and is a corner unit that has extra windows providing views of the beach and extra light. This is the best unit in the complex of Sea Isles since the north units have views all the way down the beach. The top floor units are also quieter since you have no one above you. Located directly on Indian Rocks Beach with unobstructed views of the Gulf of Mexico. New AC installed in April 2014. New Full Size Front End Loading Washing Machine. New Full Size Front End Loading Dryer. Private Keyed Elevator to unit. Living room with expansive views of the Beach, A fireplace, and a balcony that overlooks the Gulf of Mexico for watching Sunsets. Both Full Sofa and Small Sofa have pullout beds. The Kitchen opens up to the main Living Room area with a breakfast bar. Dining Room table and Breakfast Bar area for dining. Table is expandable with integrated leaf. Enhanced digital cable included on the main TV. Regular digital cable on all other TV's. There is a local boat rental company a few blocks away. Public Tennis Courts located a few blocks away. Over a dozen golf courses less than a 25 minute drive from the condo. Very clean. Unbelievable view of gulf. Perfect location. The best sunsets we have ever seen. Condo was perfect for 4 people. Loved the area as well. We were able to walk to dinner many of the nights! It was a quick Uber to Clearwater or Madeira. It was nice that it had a queen and king size bed. It had more than enough room for the 4 couples! We had a blast. 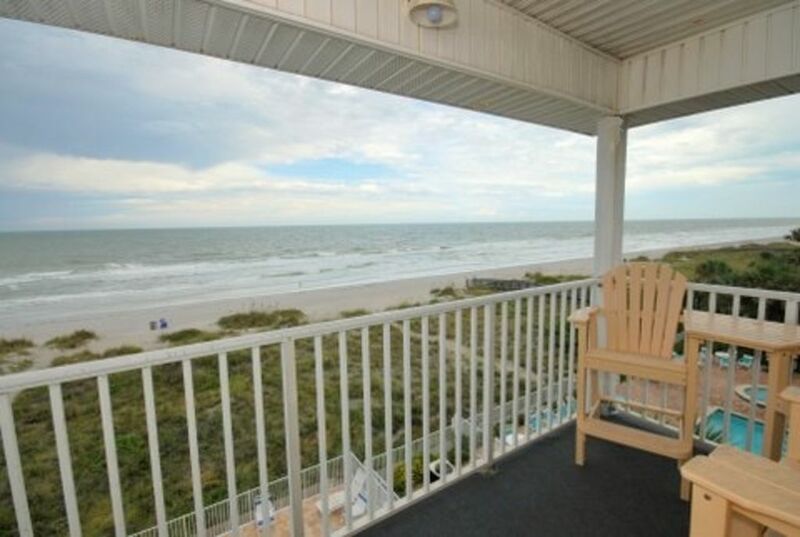 This unit at Sea Isle Villa is a very well appointed condo. It has a full open concept kitchen with dishwasher, plus in unit washer and dryer, which is invaluable when traveling with children. Two spacious bedrooms with very comfortable beds, one queen, and one king with a walk-in closet to stash the suitcases and ample room to unpack everything and settle in. The sofas both pull out for extra sleeping space as well. I particularly liked the skylight in the hallway. Who doesn't love a private elevator to your balcony. A balcony where the sun sets right in front of you every night. A balcony overlooking the warm pool and endless expanse of the Gulf of Mexico. A beach that goes on forever in both directions. A beach that is a conchologist (shell collector's) dream. The treasures left behind on the beach change hourly. It's even warm enough to swim in March. So the condo is great, but the area is great as well. Indian Rocks Beach offers great pubs, restaurants and convenience stores, all within walking distance. Lots of kayak and paddle board rental places as well. The Indian Rocks Beach Nature Preserve is a must do with its boardwalks and exercise park. However the French bakery was our favourite place on the strip. It is walking distance to everything on the strip including two restaurants featured on the food network. We had a thoroughly relaxing family vacation at this beautiful location. Would I stay there again? Absolutely, would I recommend it to you? Absolutely. What a fabulous spot - if you are looking for a great place to stay look no further. This condo is tastefully decorated, very comfortable (expecially the master bedroom), and really functional for 2 familes. The ocean is at your fingertips ....as are great restaurants, shopping, and fun things to do with the family. You can see the ocean from the kitchen, living room, as well as the deck. I thoroughly enjoyed my stay !! 20mi to Tampa TPA Airport, 39mi to Busch Gardens, 87mi to Disney World. Peak pricing applies for weeks including a holiday. Saturday to Saturday rentals only. Please inquiry for longer than weekly rentals. We are Realtors with Berkshire Hathaway on Indian Rocks Beach. First payment of 25% of the total is due within 7 days and the remainder is due 45 days before arrival. Feel free to come see us during your stay! We welcome guests that are prepared to treat our property with respect and care. We have spend time and effort to make our condo a place to feel pampered and relaxed with beautiful surroundings. Inappropriate behavior will not be tolerated. This property is not for those looking to cause unnecessary wear and damage to our condo. We take pride in what we have to offer and hope you do too.